Relativism is a philosophical topic that has many dimensions and can mean many things. It is the view that one thing owes existence, truth, goodness or beauty to something else and is central to an understanding of any of the four traditional divisions of philosophy: ontology, epistemology, ethics and aesthetics. 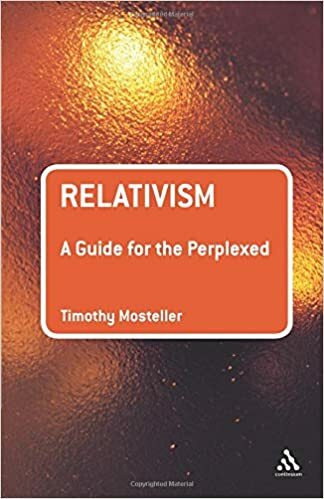 Relativism: A Guide for the Perplexed offers a concise introduction to relativism and how it applies to the different parts of the basic, foundational areas of philosophy and, indeed, to every area of human enquiry. Timothy Mosteller provides an overview of the topic across the discipline of philosophy, examining it in detail in its primary forms: ontological relativism, epistemological relativism, moral relativism and aesthetic relativism. The book concludes with a summary of the role of relativism in three other key academic disciplines: science, politics, and religion.